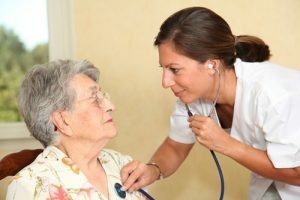 Although chemotherapy is one of the most powerful, appropriate and effective approaches for treating breast cancer, new research shows that about 12 percent of patients older than 65 develop heart problems as an unintended side effect within three years of starting chemotherapy. Seeing a cardiologist is important, but only about one-third of breast cancer patients will do so within 90 days of experiencing heart trouble, such as fatigue or shortness of breath. This research underscores the importance of discussing and being aware of any potential side effects. There are several potentially life-saving chemotherapy options available for breast cancer patients, and all of them are designed to kill the abnormal tumor cells. Unfortunately, they may also damage healthy cells, such as the ones in your mouth, bone marrow and intestines. This leads to various common side effects of chemotherapy. However, no two people will have the same response to the same drug regimen. Depending on how long chemotherapy lasts and how much of it is prescribed, you may experience no side effects or you may experience several. Not all chemotherapy options are appropriate for every breast cancer patient. The authors of the new study on breast cancer treatment and heart health, which was presented at the American Heart Association’s Quality of Care and Outcomes Research 2014 Scientific Sessions, focused specifically on trastuzumab and a class of medications called anthracyclines. Both of these options come with warnings about serious and life-threatening heart problems, and doctors often recommend medical tests, such an electrocardiogram, before prescribing these drugs to make sure that patients’ hearts are strong and functional enough to endure treatment. Although these drugs may be the most effective choices, there are specific individuals who might be at risk and therefore should consider other options as well. Because of this, the study authors reviewed the health outcomes of about 8,400 people with breast cancer, whom they found through a Medicare-linked database. All of these women were older than 65, were diagnosed with stage I-III breast cancer between 2000 and 2009, and underwent chemotherapy with medications previously linked to heart problems. The data showed that, among those who received anthracyclines or trastuzumab, 12 percent developed cardiomyopathy or heart failure. Cardiomyopathy is characterized by a weaker heart muscle, and heart failure symptoms including fatigue and shortness of breath that are caused by a weaker heart. These results are important in light of the fact that only 34 percent of those who developed heart problems saw a cardiologist within 90 days of a doctor diagnosing these problems. The take home message is to be aware of the signs and symptoms so that you can seek treatment early on. 60 percent of those being treated for breast cancer who saw a cardiologist began taking ACE inhibitors or angiotensin receptor blockers, which are mainline treatments for heart failure along with beta blockers, compared to 44 percent of individuals who did not see a cardiologist. 40 percent of those who saw a cardiologist received a prescription for beta blockers, compared to 24 percent of who did not consult these specialists. If you have been diagnosed with breast cancer, remember that any treatment can have side effects. It’s important to talk with your doctor about potential side effects and ask what types of additional care you may need to treat or manage these side effects. Personal health advisors can link you to experts who can review all of your treatment options and assess your risk of cardiovascular side effects. To get in touch with a personal health advisor, click here.